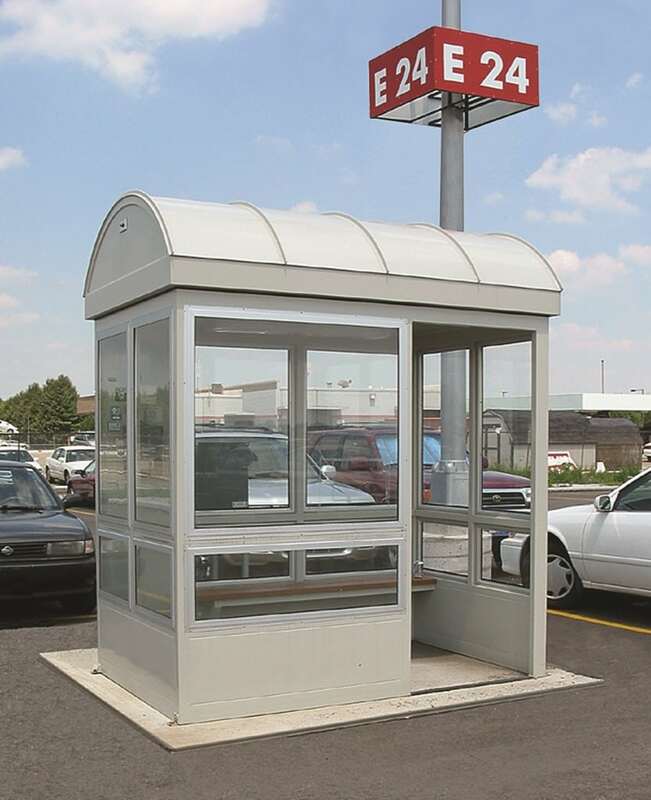 This Unique 5′ x 8′ passenger waiting shelter is being used at an airport parking lot. Pre-assembled and delivered user ready after installed to prepared slab. This single unit welded galvanized steel unit sports a “Barrel” style 18Ga galvanized steel roof with a 2″ overhang. Equipped with: vandal resistant fluorescent light with photo cell control, ceiling mounted fan forced heater with tamper resistant thermostat, weather tight circuit breaker panel and 6′ recycled plastic bench (Cedar color).